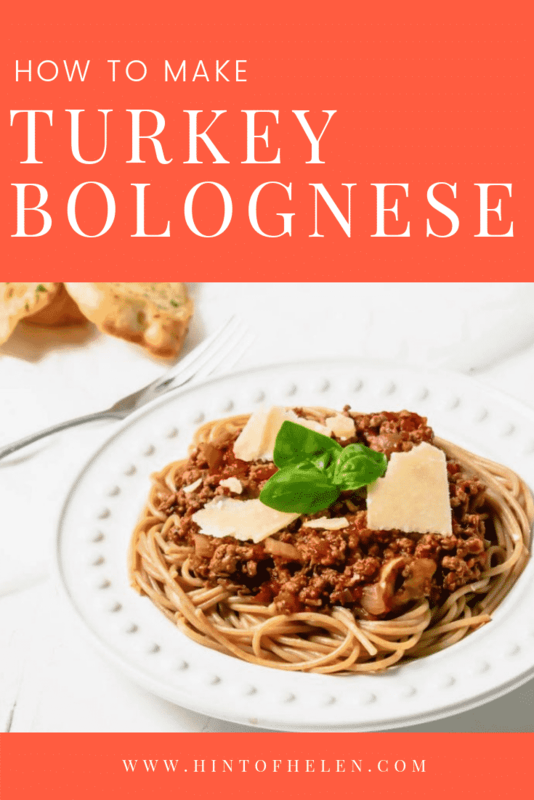 Turkey Bolognese is a quick, healthy dinner which I cook most weeks! 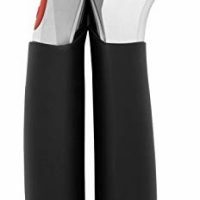 It’s also super cheap – which is always welcome! 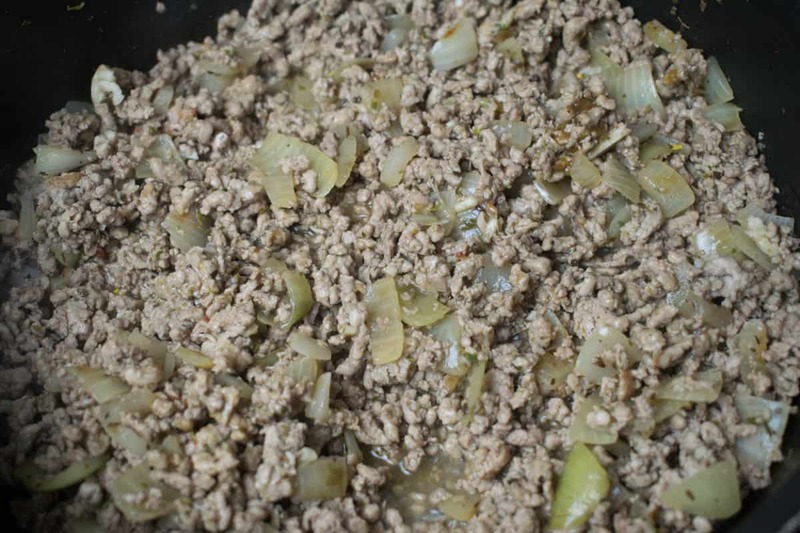 Turkey mince is great to cook with, its really lean and low in fat which means healthier, lighter dinners for the family. 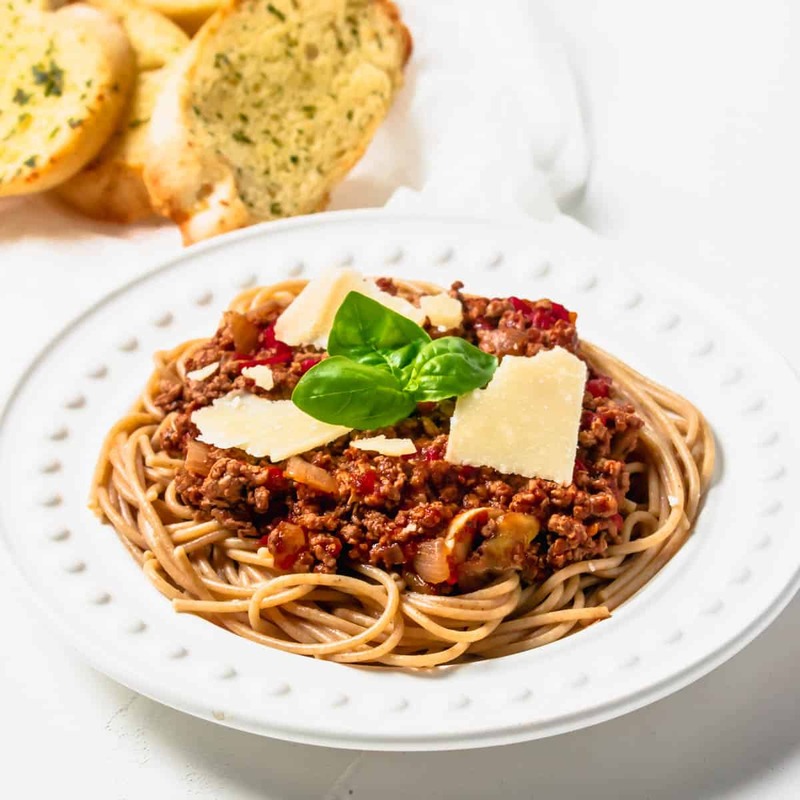 This is my simple recipe for Turkey Spaghetti Bolognese which i’ve adapted from my much loved recipe for classic beef bolognese. 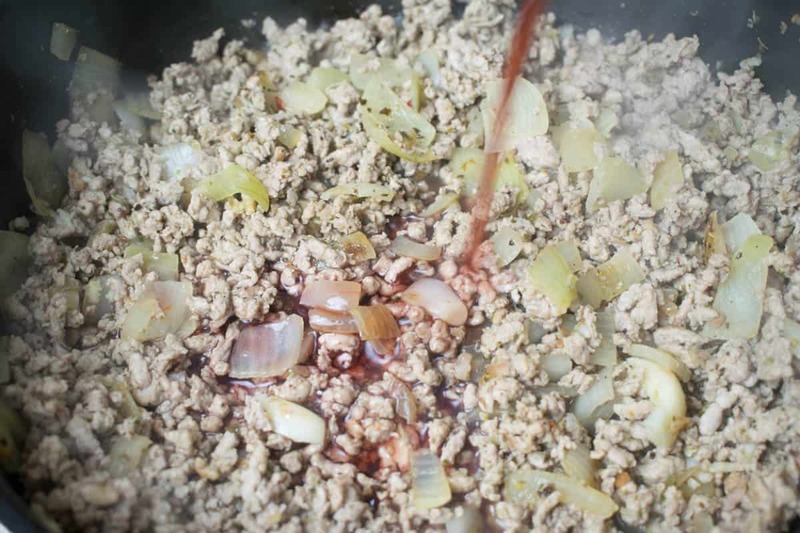 Using red wine and garlic in this recipe brings a deep flavor and really compliments the lightness of the turkey mince. 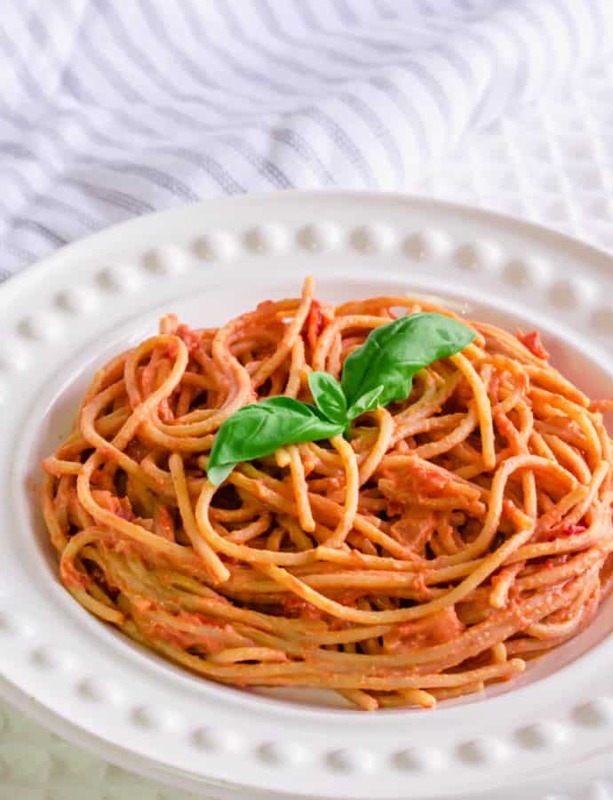 Whilst it may be tempting to cut out the tsp of sugar, please don’t – sugar is added to tomato based meals for a valid reason. 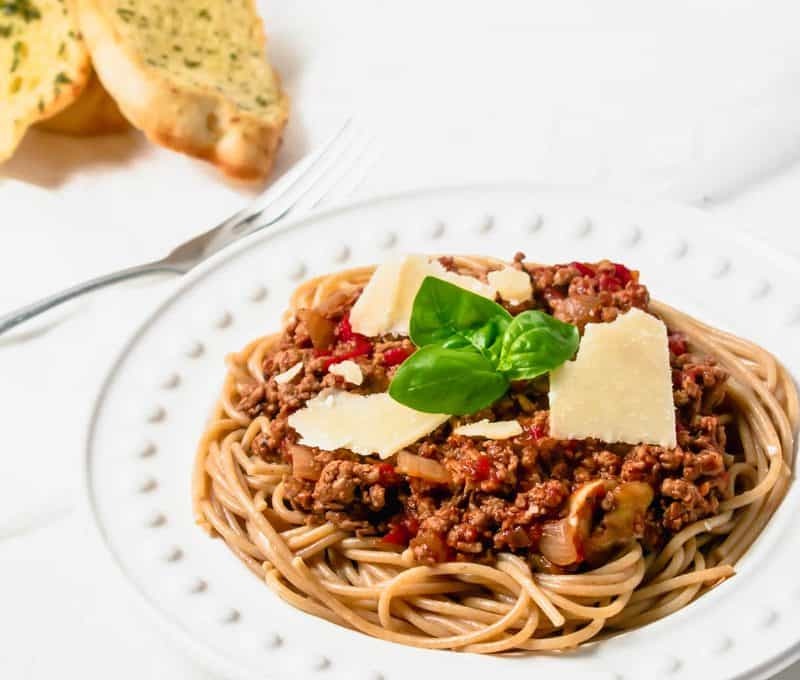 Is Turkey Bolognese Healthier than Beef Bolognese? 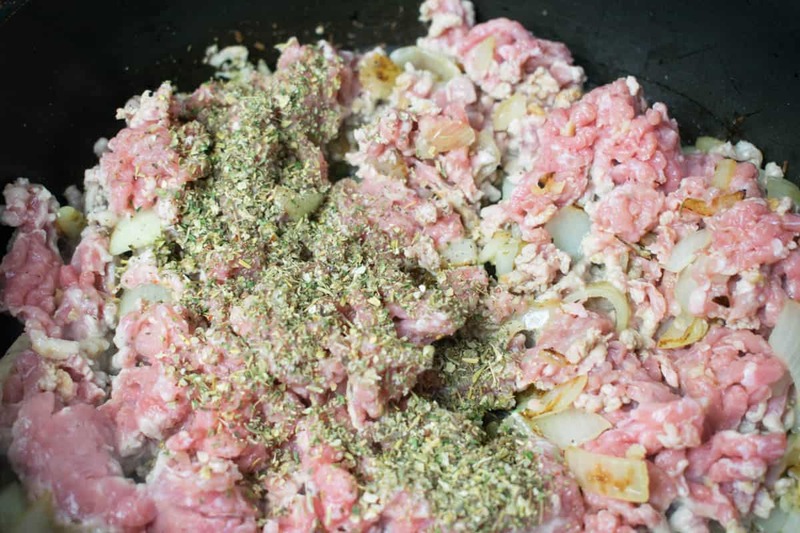 Comparing which type of minced meat is healthier is quite a minefield. Reading up on this great debate of if turkey is healthier than beef, it really boils down to what your health goals are. 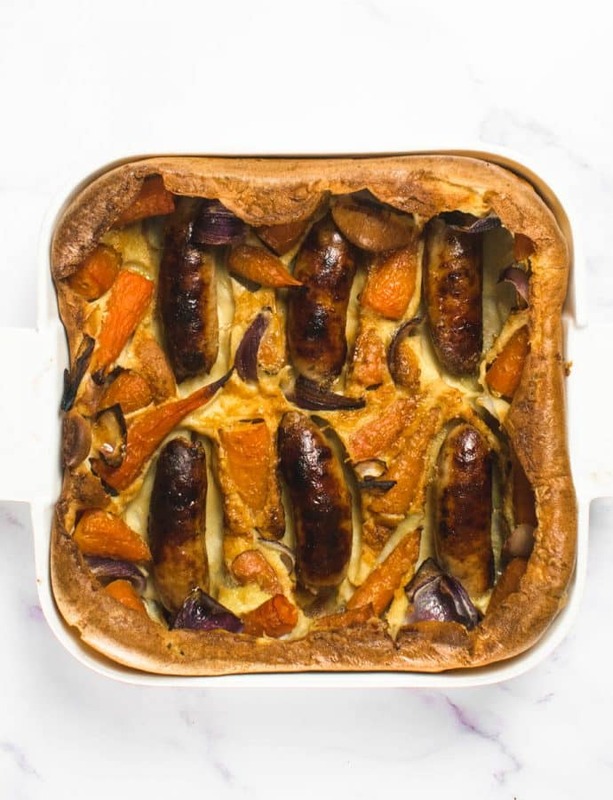 Turkey is available in much lower fat percentages, I get mine from M&S or Aldi – whereas beef has higher levels of zinc and Iron. 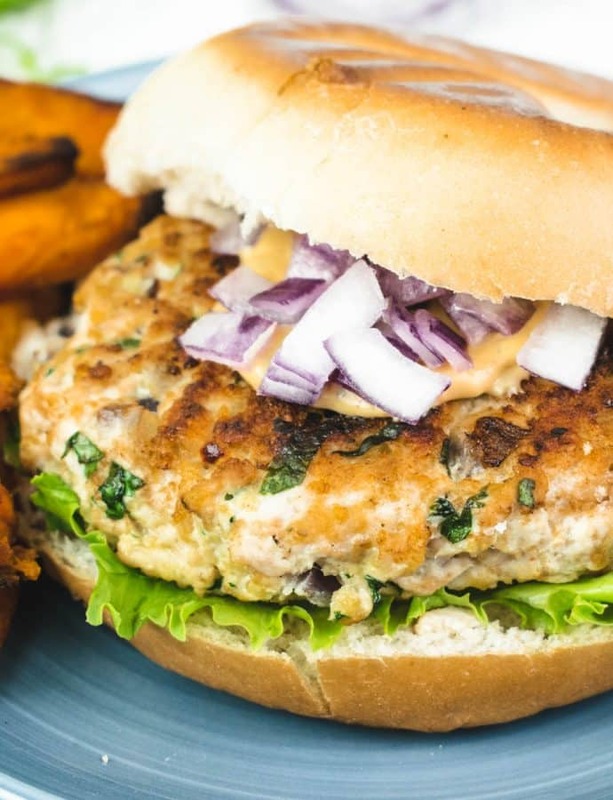 Due to the lower fat percentage of turkey, it is a drier cut of meat so works well with saucy recipes like this – or filled with lots of seasoning and herbs if you’re using it for a recipe such as turkey burgers. 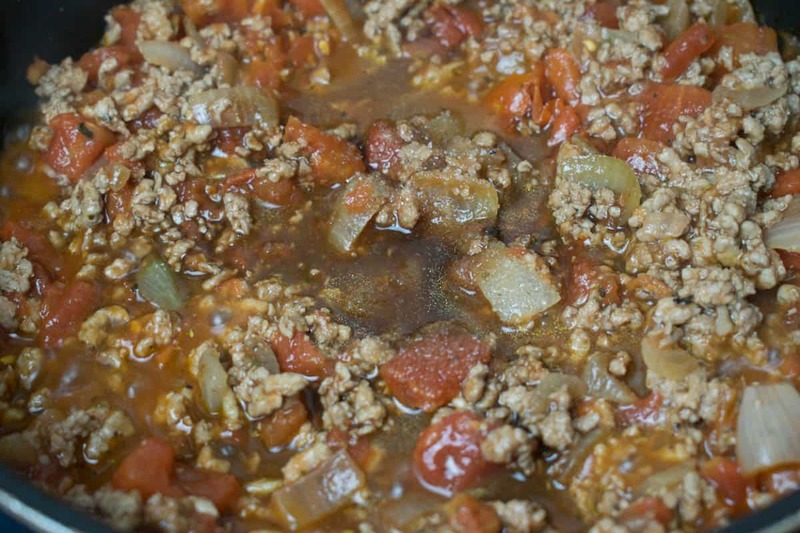 How many Syns are in this Turkey Bolognese Recipe? 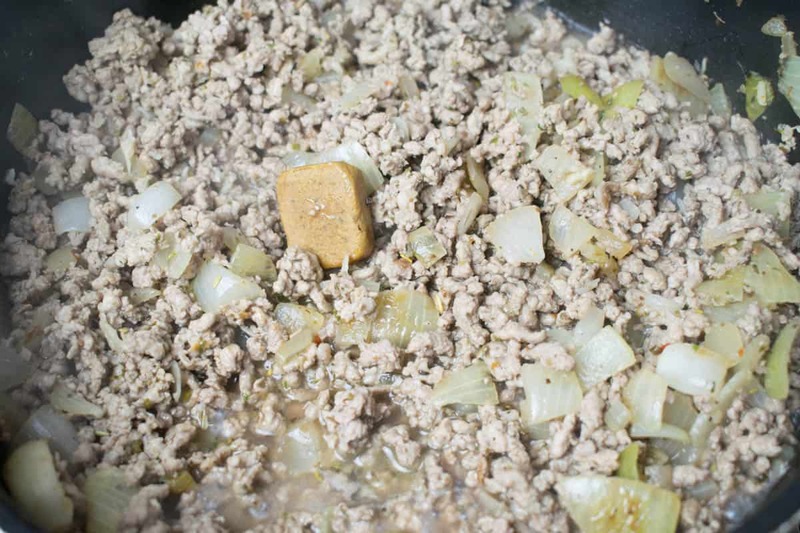 I believe low fat (less than 5%) turkey mince is free on the slimming world diet plan. 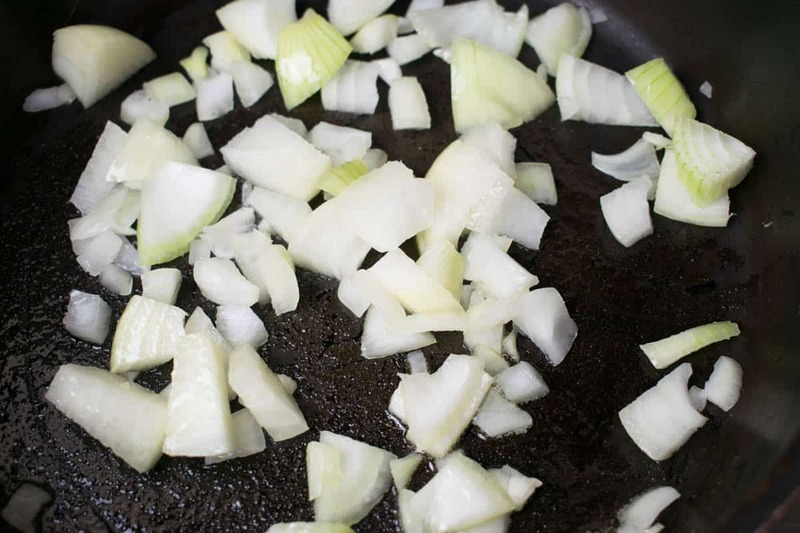 If you’re following a slimming world diet, I’d recommend you switch out the oil for a low-calorie cooking spray. If you have any questions about substrates, please ask in the comments below! 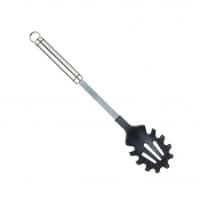 For the printable recipe card, please scroll to the bottom. Then add the tinned tomato, balsamic vinegar, salt and sugar. 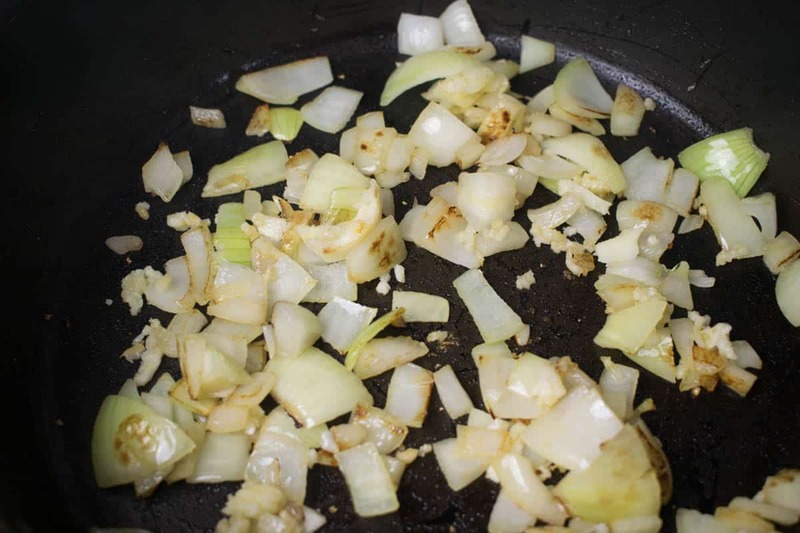 Stir and cook for a further 10 minutes to reduce and richen the flavour. 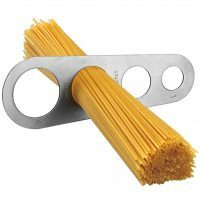 Meanwhile, boil the spaghetti as per packet instructions. 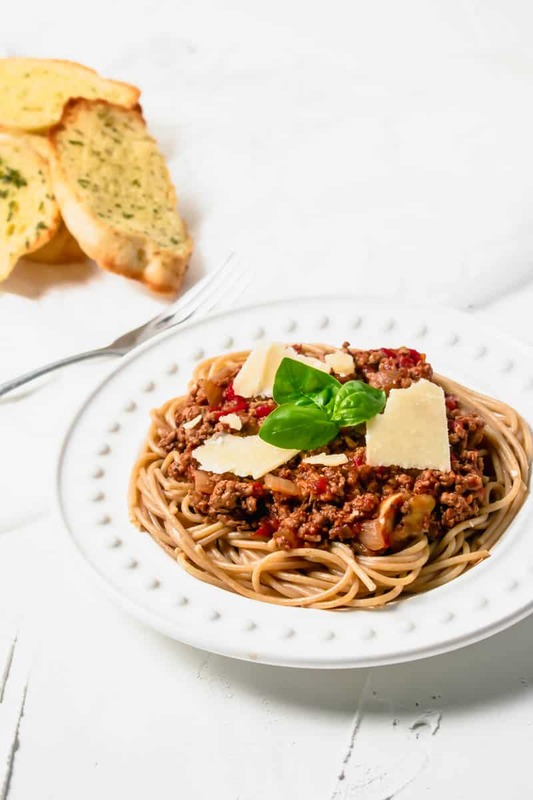 Once the bolognese has reduced, serve on a bed of spaghetti with a grating of cheese. 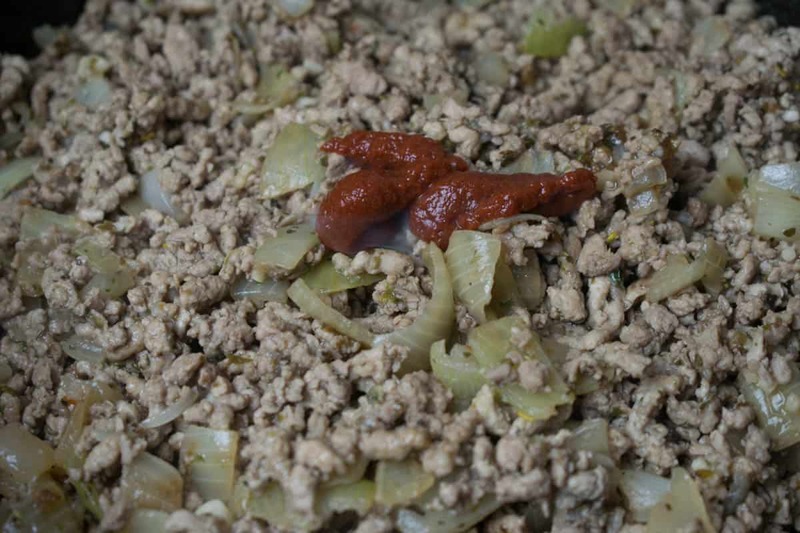 A healthy, quick turkey bolognese recipe made with red wine and garlic. Nutritional Value calculated using VeryWellFit based on 4 servings and for the bolognese alone (not including spaghetti or parmesan).